Speed Dating with Deidre Knight -- Final Results Post! UPDATE: Darcy Drake is the winner of the first chapter crit. Please email contests(at)knightagency.net by Tuesday, Dec. 28th to claim your prize. We wish you a fabulous and safe holiday! It’s the BIG day! Please join us in congratulating the newest member of The Knight Agency family – Leigh Evans. Christmas came early for this urban fantasy writer who says she began working on the manuscript for HEDI’S BOOK OF RULES last November. “To be honest, I tried to write Hedi’s story before that, and had made it to 67K,” she recalls, “Then late one night -- after a particularly painful writing day --I heard Hedi, real loud, right in my ear. She didn't sound anything like the well-mannered woman I’d been wrestling with... I tossed the 67K over my shoulder, and started over the next day." Deidre would love to do another contest in the near future, perhaps involving some of our other agents as well. We’ve been bouncing around the ideas of doing a lottery-type contest, video challenge or perhaps just repeating the speed dating contest. Another option is to rerun our “Book in a Nutshell Contest,” where entrants were only allowed to send in three compelling sentences about their project. Give us some feedback. Help design the next contest by leaving your thoughts on what new challenge or rules writers would have to follow to enter, or maybe even address what tweaks you would give to some of our past contests. We’re thinking that spring, a season of new beginnings, would be the perfect time for the next big event. 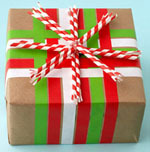 THIS CONTEST IS NOW CLOSED: Before you head off to the comment section, Deidre has one last present in her Santa bag. A first chapter critique for one lucky commenter. If you don’t have a first chapter handy, the prize is transferable. Wouldn’t that make a nice Christmas gift for a friend? 1. The winner will be randomly drawn and announced tomorrow afternoon, December 21st. 2. The prize must be claimed within a week by Tuesday, December 28th. 3. The first chapter must be turned in by January 1st, 2011. 4. The critique will be returned in eight weeks or less. 5. The prize cannot be transferred more than once. The Knight Agency has adopted USA Cares as our charity of choice this holiday season. The organization provides post-9/11 military families with financial and advocacy support. We heartily endorse their cause, and encourage you to consider them as a gift option before you run yourself ragged, hopping from store to store in search of the perfect last minute present. Giving the gift of charity can be done easily from your home, and it embodies the true tradition of the holiday – spreading goodwill to others. It’s easy to give a gift in someone’s name or on your own behalf. We support USA Cares throughout the year, and have had donations made to them in our name for the holidays – which we are incredibly thankful for. We hope you will consider gifting family and friends with a USA Cares donation made in their name. Needless to say, this is a must-have gift for many needy folks this year. Click here to learn more about USA Cares and how to donate. UPDATE: The winner of Chloe Neill's prize pack is Mysteriousrose. Congrats! Please email your physical addy to contests(AT)knightagency.net. One lucky commenter will win Chicagoland Vampires and Dark Elite pencils, a TWICE BITTEN audiobook CD, a UK trade paperback copy of FIRESPELL, and HEXBOUND and TWICE BITTEN bookmarks. To enter, share either the best gift OR the worst gift you ever received in the comment section. The winner will be randomly drawn and posted here on Monday, December 20th. Once upon a time, a young vampire named Merit was perusing the Interwebs in the kitchen of her best friend--a blue-haired sorceress named Mallory Carmichael--when she let out a happy squeal. "Oh, for cheese and rice!" she merrily exclaimed. "I know what I want for Christmas!" Mallory, whose hair was piled into a messy topknot as she stirred a caldron of bubbling witches' brew (i.e., Rice Krispie Treats), looked up from the stove. "Fang protectors? Type A egg nog? Tiny aspen stakes to hang on the Christmas tree?" "Ha. Ha," said Merit, spinning the laptop around so her friend could see. "This!" It only took Mallory a split-second of checking out the image on the screen before she reached her verdict. "No. You'll poke your eye out." Merit's smile deflated. "No, I won't." With a disdainful look, Mallory crossed the kitchen and stepped up to the laptop, pointing at the screen. "That is a ten-inch long, double-edged, serrated-bladed, switchblade dagger. You will poke your eye out with that thing." "But it's so shiny!" Merit protested. "You'll poke your eye out." "And it's a nice, hefty weapon. Size matters, right?" "I'm a vampire. Even if I poked my eye out, I'd heal." "And in the meantime, you'd be a visually-impaired vampire complaining about your visual impairity. No. Again, you'll poke your eye out. And I don't want to hear about it." Sullenly, Merit stared at the screen. "How about one of those two-foot-long Toberlone bars? The ones that weigh like ten pounds?" "That," Mallory said with a smile, "you can have." And the vampire and her sorcerer friend lived happily ever after. Although Santa did not bring Merit an eye-poker-outter for Christmas, she did receive a Toblerone bar that kept her happily munching (sans weight gain!) for a week of chocolately bliss. 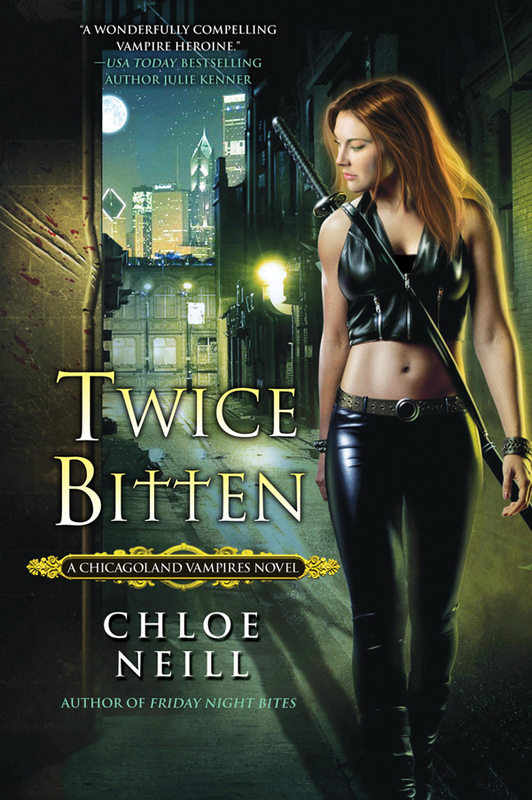 To learn more about Chloe Neill, visit www.ChloeNeill.com. Update: Allison B. Is the winner of DARKSHIP THEIVES by Sarah A. Hoyt. Please send your physical addy to contests(at)knightagency.net. Sarah A. Hoyt is stepping up to the plate today in our Holiday Extravaganza countdown to Christmas with a story inspired by "The Little Match Girl." 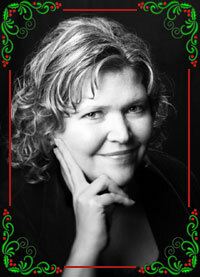 Sarah writes fantasy, science fiction, mystery and historical fiction. "Three Matches" is set in the world of her Shifter series. Her latest releases are DARKSHIP THIEVES, NO WILL BUT HIS and FRENCH POLISHED MURDER (writing as Elise Hyatt). Sarah is giving away a signed copy of DARKSHIP THIEVES to one lucky winner. Leave a comment to enter. The winner will be announced tomorrow morning. Also, don't forget that our annual Knight Agency holiday chat is happening today @ 12:30pm ET. TKA Santa has a bag filled to the brim with books and goodies to giveaway throughout the hour. So check out Sarah's story to get yourself in the holiday mood, and then come on over and see us at lunchtime. 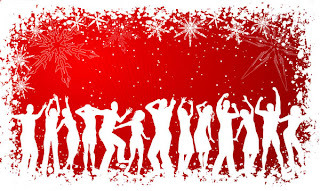 Click here for more info on the holiday chat. 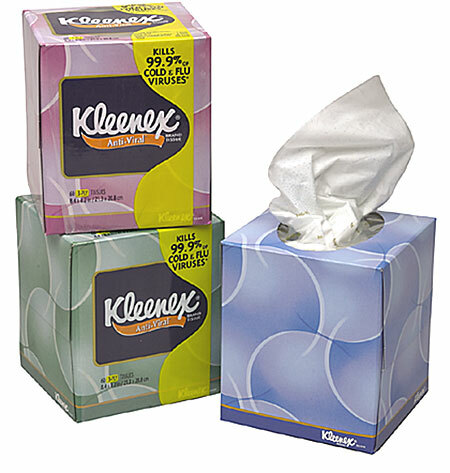 You shouldn’t cry when it’s snowing. Besides, crying wasn’t going to do me a bit of good. Not on New Year’s Night with a blizzard blowing in low and tight over the city of Goldport, Colorado and turning everything further than two inches from my nose into vague shapes that I no more than suspected might exist. I abandoned my car on Fairfax Avenue. People say Fairfax is the longest straight street in the western states. Perhaps it is, since it runs from one end of Goldport to the other and clean out of town on the other side. Which makes it a very easy street to follow, even in pitch dark night and under the snow. But not when your car was low on gas and the street was coated in ice. As I got out of the car, pulling my gloves on and wishing I were wearing my snowboots and not the tennis shoes, I thought mom might have been right at that, when she said dad hadn’t left her so much as he’d left Colorado. You see, my father was a meteorologist, and mom said the Colorado weather had driven him insane being completely unpredictable. You could start the day with eighty degrees and bright sunshine and end up at noon in a hard frost and subzero temperatures. I’d always suspected dad had other reasons for leaving, but now I wasn’t so sure. I’d left Denver, three hours ago, in eighty degree weather and bright sunshine and look at me now. Blinking, because it felt like my eyes would be frozen in their sockets, I walked carefully along the street, heading for the sidewalk. There should be a space near the buildings where it was relatively warmer and perhaps not quite so icy. Also there was a chance – okay, a chance in Hades – that a coffee shop or restaurant or something had left its door unlocked. And that would be good, even if no one where there, because then there was the chance I wouldn’t die. The thought surprised me, because I had been thinking of it in terms of stupidity and annoyance. Stupid, stupid Rya had left home without her snow boots, or her emergency kit in the car. Stupid, stupid Rya had blown past the small towns on the way here without thinking to get her tank filled up. Now the thought came, stark and naked. Stupid, stupid Rya is going to die. Which stopped my mind from spinning on the track it had been playing since I’d left Denver – how to tell one’s mom and step dad about one’s little embarrassing problem. Particularly when said embarrassing problem is of a bizarre enough nature they’ll consider having one committed? In the sudden blankness of thought, I patted my pockets, suddenly wondering if I had what it took to survive this, if perhaps there would be a reprieve from my fatal idiocy. This was when I realized my stupidity was greater than it seemed. I’d brought my mom’s jacket instead of my own. Which meant I didn’t have my cell phone, or my lip balm – so I’d die with cracked lips – or the mini candy bar I’d put there after grandma’s holiday party. On the other hand, I had a matchbook, that mom must have picked up somewhere and put in there. I brought the matchbook out, wondering why people even gave them out considering that there was no smoking in bars or restaurants in Colorado anymore. It was black, with a name and address printed on it. Grandma wasn’t really. She was my stepdad’s mom. Not that there was anything wrong with her. Or with Mark, my stepdad, except I always got the impression that they were more interested in having me there so they could show what a great family we were than in me, as such. How long had mom been carting this around? On the one hand the matchbook looked barely creased. On the other hand, there were only three matches in it. Right. Three matches. I found the edge of the sidewalk next to the buildings. I was right there was less ice there, except for little patches there the water had melted and run or perhaps run before it froze. I could watch for those, as I moved along, looking at the numbers. From the numbers, the George was about eighteen blocks that way which, of course, gave me plenty of time to freeze to death. But hey, I had three matches. I flashed on my favorite holiday story as a kid, The Little Match Girl. My dad had read it to me on Christmas every year, with a bunch of others – which was kind of odd since The Little Match Girl takes place on New Years. 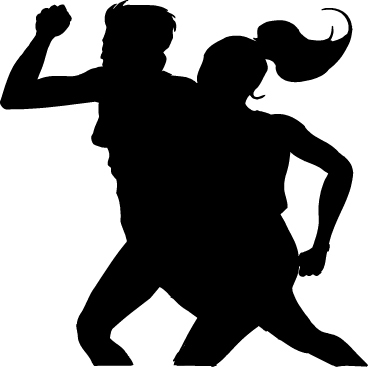 Even odder since – as far as I knew – my dad didn’t have anything against little girls, and a holiday story where the happy ending is that she froze to death while dreaming of her grandma seemed kind of strange. I patted the pocket of my jeans, on the off chance I had anything useful there. This was Colorado. We read about people who survived blizzards on three cough drops and snow melt all the time. Not that my big issue was hunger – even if I hadn’t eaten since breakfast – but more cold. And that... well... I’d just have to keep walking. I stomped my feet, to make sure I could still feel my toes. As though in answer to my stomping, there was a weird sound to the right, like a muffled hiss/growl. “Who? Who– ” I said, sounding exactly like a very enthusiastic owl. The hiss/growl came again. All I could think was that someone’s dog must have got out of their yard, but if that was a dog, then it had laryngitis problems. Scare it away with something flashed through my mind which, unfortunately neglected to tell me what I should scare it away with? My keys? The way my lanky brown hair must be all messy and now getting crusted with snow? The matches? As the hiss/growl came again, I figured what the heck I might as well try, right? I mean, what was the worst that could happen? I’d use up the match and that would seriously cut down my possibilities of smoking three cigarette...which I didn’t have. Right. And besides, maybe if I lit a match I would see angels or get a great dinner. Right now an hallucinatory dinner seemed preferable to dying out here knowing how cold and how alone I was. I lit the match as the hiss/growl, followed by a slithery noise, dragged closer. And there, in the middle of the snow stood... I blinked. Okay, I was hallucinating, but this was no angel known to man. It was an alligator. A very old alligator, its hide scarred and marked by past fights. The thing is that, though it was walking through the snow, straight at me – and were alligators supposed to even be alive in the snow? Weren’t they cold-blooded? Shouldn’t it be comatose or dead or something – clacking its teeth, it didn’t look dangerous. It looked like a happy alligator, out for a jaunt. Like... something out of a live animation movie about animals who move to the city, or perhaps what happens to discarded pets. I blinked, but he didn’t suddenly sport a little jacket or a jaunty bowler hat, so I was at least not that far gone. Or perhaps he – for some reason I was sure it was a he – was real. The clacking of teeth somehow seemed like someone saying tut-tut, and then the alligator’s nose was so near I could see it, despite the darkness and the snow. He... sniffed delicately at my jeans and my shoes, and then looked up, his eyes contriving to look very amused and strangely human. Right. Now I was going nuts. Fine if it was going to bite me, it could bite me as I was walking towards the more populated areas of town. I thought around that address on the matchbox there were apartments. Someone was bound to find me, right? The alligator didn’t try to follow me, as I walked on, which was good but also, inexplicably, felt really lonely. Yeah, because you know, a girl and her gator was infinitely better than being alone. I walked another three blocks, and it felt like my head was going to freeze solid by then, when I heard a weird flapping ahead and a little to the left of me. It sounded like someone was flapping sheets in a really high wind. And while the wind was there all right, the only thing blowing around in it were snow flakes. I tried to see ahead and could see nothing, and reached for my matchbox, because maybe these were magic matches, since they could scare away gators. if I hadn’t dreamed up the whole thing. I paused, and tried to light my match, then realized there was a parking lot to my left – leaving a space without buildings, but somewhat sheltered, since the parking lot was bordered in warehouse walls on all three sides. I lit my match, then looked up. The snow was less thick here, and the match did give a good amount of light. None of which explained what I saw. I’d almost have preferred angels. Right in front of me, looking like it had just alighted on the parking lot was a dragon. Not just any dragon, no. It was a red Chinese dragon, cute lion face and all. Okay, I thought as I blinked at it in the light of my match. I’ve gone completely around a bend. I registered that it was holding something in its right paw. And then it started coughing. I couldn’t move if I wanted to. The match burned towards my fingers, as it coughed and spasmed. it looked like what it felt like when I transformed into the fox. But... a dragon? Dragons didn’t exist, did they? Of course, neither did shape shifters. As I dropped the match, I could barely see the naked young man in front of me. Which was probably good, as he seemed to be trying – simultaneously – to cover his privates and put his clothes on. I had glimpsed enough to see he looked Chinese and about my age. He had a red dragon tattoo on his arm. “Yeah, a shape shifter,” he said. He smiled. He was now dressed and very close, and he had a sweet smile. “No,” he said. “Dragons rarely get caught like this in storms. We fly. But Old Joe said you needed help. Where do you need to go? I’ll shift again and give you a ride.” The smile again. It was impossible not to trust him when he smiled like that. Modestly, he stepped just far enough away from me that he could shape shift without my seeing him naked, which was reassuring. Then the coughing started, and the sort of odd sound that suggested flesh being compressed and twisted and... a red dragon walked through the snow towards me. When it scrunched its face and let down its wing, it looked exactly like the young man’s expression when he smiled. I climbed the wing, carefully, hoping not to hurt him, and sat astride him then, because he seemed to be waiting for something, and because dragons – apparently – don’t come equipped with seatbelts, I leaned forward and wrapped my arms around his neck. It was oddly intimate, but also very warm. Blessedly warm. I had to fight to keep awake, it was so... cozy and also because the relief of being rescued hit me. In almost no time, we were flying over a diner. I could see even through the snow, a neon dragon flipping pancakes, and neon letters proclaiming The George. My dragon friend flew over the dragon, to a parking lot at the back and let me down. I went around the front door which – surprisingly – was open. And the George was lighted and filled with groups of people. A young man with long dark hair, tied back, was at the grill. He turned and gave me a curious look as I came in, but I didn’t care. I was so exhausted. Of course, I didn’t have any money, but perhaps they’d just let me sit down and make a phone call. She bustled away and Conan said, “that’s Kyrie. She and her boyfriend Tom own the diner.” I felt ridiculously relieved she wasn’t Conan’s girlfriend. Like I had some claim on him, or something. “You said Old Joe told you about me?” I said. “Yeah.” And at my look. “Alligator shifter. He said you were nice.” The blush came again. It was fascinating. I’d never met a man who blushed like that. To stop staring at him, I looked around the diner. So many people, and none of them seemed very interested in us. In the next table over, there was a man scribbling in a notebook. He was probably fifty and he had... I stopped. He had hair exactly the color of mine. And I knew him. Oh, I hadn’t seen him since I was five, but a girl knows her own father. I shook my head. “My mom knew where to find you?” She’d told me he’d left the state. She’d told me he never wrote. Later on I said a lot more, as we talked over the sixteen years of my life he’d missed. He’d been living in Goldport all along, but mom hadn’t told him I’d gone to college there. Now I understood why she’d tried to convince me to go to UC Boulder – because Dad was living in Goldport, retired and writing a novel. She’d been trying to convince him to move. She’d met him at the George just last week. “Well,” I said. “She won’t want to ruin me and herself by implication. I mean, she’s my mother.” Though she might cut me off completely now she knew I too was a shape shifter. But I didn’t care. It wasn’t like I’d be left without any family now. When the chowder came, I noticed there was an unlit candle on the table, and I struck my last match and lit the candle from it. This time, the story of the little match girl did have a happy ending. UPDATE: The winner of two books by Cat Adams + a series poster is tinatre! Please email your addy to contests(AT)knightagency.net. Today, Cat Adams* continues our Holiday Extravaganza with a retelling of "It's a Wonderful Life." The author is giving away Books 1 & 2 in her Blood Singer series, BLOOD SONG and SIREN SONG, to one lucky winner, along with a series poster. Leave a comment sharing something "wonderful" about your life a la George Bailey, or something you're grateful for this holiday season to enter. The winner will be announced tomorrow morning. “Are you sure it's all right?” Dawna's voice on the phone was worried. I knew she couldn't see me here, parked in front of my Gran's old house, but she knew something was wrong. Perceptive of her. Dammit. I didn't make a crack about it being the only “lay” I'd be getting. I was pretty sure I wouldn't be able to pull the joke off. The two men in my life were both pissed off at me for the moment. Maybe for more than the moment. I figured Bruno was headed to the east coast to spend Christmas with his family and hadn't invited me. Creede . . . well, who knew where Creede was. But he'd delivered a sort-of ultimatum about making up my mind before roaring off in his new Lamborghini. “Celia?” Dawna's voice brought me back to the present. Apparently I'd missed something. I'd been doing that quite a bit lately. “Mnnn hnnn. Sure you do.” She didn't believe me for an instant. She knows me too well. Pathetic. I know. But it was the best I could come up with on such short notice. And hey, it beat the hell out of the truth---saying I was going to lie around crying and feeling sorry for myself. Ouch. There it was. She'd finally decided to address the elephant in the room. HO HO HO! 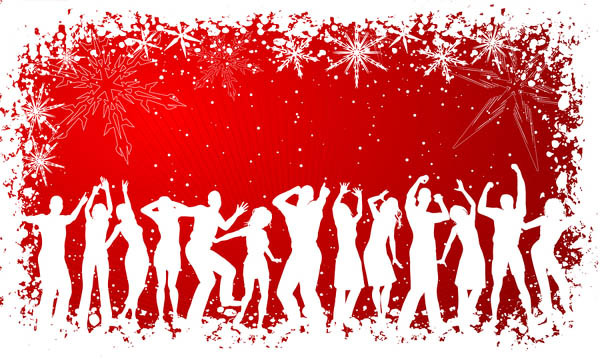 It's the most wonderful time of the year, and that means it's time for TKA's annual online holiday party! 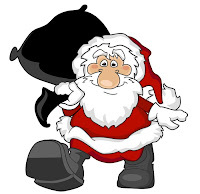 Join our agents, authors and TKA Santa for an hour of non-stop giveaways. This is our most fun, relaxed chat of the year. No worries about what to ask a guest author or waiting your turn to speak -- it's literally a free for all! This year Gena Showalter, Nalini Singh, Maria Geraci, Keith R.A. DeCandido, Shannon K. Butcher, Linda Gerber, Michelle Celmer, Louisa Edwards, Lydia Dare, Joey W. Hill, Jessica Andersen, Lauren Baratz-Logsted, Chris Marie Green, Melissa Mayhue and Shirley Jump have donated signed copies of their releases. * Plus we're raiding our book closets and giving out titles by Rachel Caine, Marley Gibson and Cecil Murphey, among others. Oh yeah, and there's a Christmas stocking prize stuffed with books and holiday treats. Don't forget to mark your calendars! HOW TO CHAT: Enter any combination of username and password. Login. Your computer must be Java enabled to chat. *Please note that though all of these authors are donating books to the event, not all of them are able to attend. 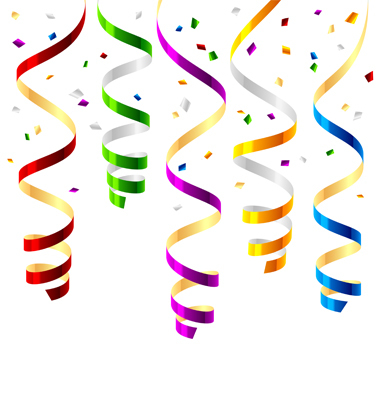 UPDATE: The winner of an $15 Amazon gift certificate from Dakota Cassidy is Raven99. Please email your addy to contests(AT)knightagency.net. Today, Dakota Cassidy, author or YOU DROPPED A BLONDE ON ME, is kicking off our week-long holiday celebration here on the blog. She's also generously giving away a $15 Amazon gift certificate along with her post. Nice gift for you or someone on your list, perhaps? ;-) Comment with an answer to her question (at the end of the post) to enter. The winner will be announced tomorrow morning. Ho, Ho, Ho For Holiday Movies! Yes. That’s me. 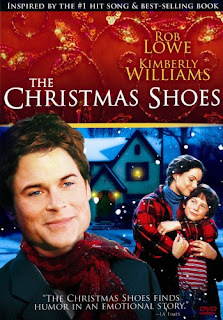 I, Dakota Cassidy, lurve a holiday movie. The more cheese the better. I like mine drippy and gooey, thank you very much! Now I’m not talking just the classics like :"Christmas Vacation" or "A Christmas Carol" and such. 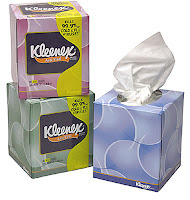 I’m talkin’ the Lifetime/Hallmark-a-palooza snot fest that leaves me reaching for the bulk batch of Kleenex I buy at Costco. If it’s got some unadoptable kid, an amnesiac Santa Claus, an elf looking to find his family, a mother who’s homeless, a dog that’s missing his left paw as well as an eye and was abandoned by the side of the road, or even if it just has the word “Christmas” and anything remotely resembling Christmas in the title (think holiday, silver, bells, garland, wreath--whatev), I’m all in, folks! In fact, I scour the Lifetime/Hallmark channel websites to see what’s brand new each year and then I look for the movies that are repeats, but still worthy of my bucket o’ tears. It doesn’t matter that sometimes they’re so badly acted I often think I should call the producers up and offer my services. I’d do it for a mere couple hundred bucks and a place to sleep. Plus, I won’t demand they take all the yellow M&M’s out of my bowl of candy in my dressing room. And I’d do it all with one limb, if they’d let me. It also doesn’t matter that somehow, some of my one-time favorite actors and actresses, when invited to do a Lifetime/Hallmark movie, suddenly lose their ability to act. The dialogue’s stilted. The gushy love story is so gushy you’ll need a filling. However, nay. I care not. I adore them! I drive my family nuts as I simultaneously take over every TIVo in the house in order to record them at every ungodly hour of the day and night. If I discover a new one, it’s like having a platinum American Express card with no limit and being let loose at a Louboutin outlet store. And again, I don’t care. I don’t care if you mock, point, openly laugh at me. Loud and proud, I’m a cheesy holiday movie lover. So if you need me from December one until December twenty six, I’ll be on a couch, bed, chair (whatever surface is available) with my box of tissues, possibly some pork rinds, sprawled out in my pajamas, puppies snuggled close, watching Santa Claus try to find his way back to the North Pole while he battles amnesia and herpes—er, or something like that! So tell me, what’s your favorite holiday movie? Post below and gimme a shout out! Dakota's latest release is YOU DROPPED A BLONDE ON ME (December 2010, Berkley Trade) To learn more about Dakota, visit her website. We're almost to the finish line! Deidre has selected Pat O'Dea Rosen, Leigh Evans and Sofie Couch as the final contenders in her speed dating contest. As you all know, the grand prize is literary representation. * These super talented ladies have made this contest a tight race, and Deidre can't wait to sink her teeth into their full manuscripts. The winner will be announced here on our blog, Monday, December 20th. Good luck to the three finalists, and a special congrats to the Top 10 for all of their hard work! *The grand prize is literary representation or a full manuscript critique -- based on a final determination of whether or not any full manuscripts submitted during the contest meets the needs of The Knight Agency at this time. UPDATE: The winner of CHRISTMAS MIRACLES is brendajean! Please email your physical addy to contests(AT)knightagency.net. Congrats! Hopefully you've gotten your holiday shopping out of the way so you can relax this weekend. If not, good luck! I'm staying far away from bottomless parking decks and overflowing sweater tables. I'd rather kick up my feet at home and blast the heat to tropical levels. If you're of the same mind, you'd definitely be interested in coming to our annual online holiday party next week -- no fancy dress or suit required and you can stay toasty warm at home or in the office. Just log into our chat room at 12:30pm ET this coming Thursday, December 16th. A top Borders investor floated the idea of buying Barnes & Noble for a possible merger of the two companies. If that wasn't enough to set tongues wagging, the retailer ended the week with the release of a dreary sales report for third quarter with losses totalling $74.4 million. The Google eBookstore launched this week with much praise from indie bookstores who are using its bookseller program to even the playing field. As if authors we're obsessed enough with watching their Amazon rankings, the online retailer will soon offer BookScan's geographic sales figures to members of its Author Central program. Some news that will warm your heart... A young boy started a letter writing campaign imploring Books-A-Million to open a store in his Dalton, Ga. hometown. The retailer responded to the 500 letters addressed by elementary students dubbed "Charlie's Army" with a new bookstore planned to open before Christmas. 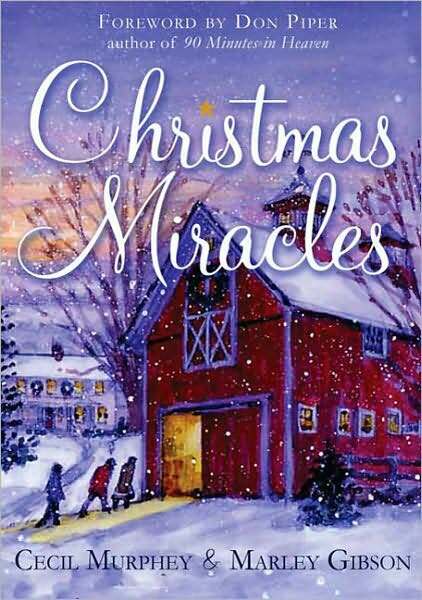 To help get us in the holiday spirit, today's giveaway is a copy of CHRISTMAS MIRACLES by Cecil Murphey, co-author of New York Times bestseller 90 MINUTES IN HEAVEN, and Marley Gibson. Leave a comment to enter. We'll announce the winner in this post on Monday morning. A man lies gravely ill in the hospital on Christmas when he hears angels singing and immediately makes a full recovery. A little boy with dyslexia sits down to read a Christmas book and realizes that his disability has vanished. And a woman’s faith is renewed by the chance discovery of a simple nativity set. Many ordinary people experience God’s grace during those special moments when Christmas becomes more than just a holiday, but a time for miracles. Cecil Murphey and Marley Gibson bring you the real-life stories of everyday people who have experienced these life-changing moments of hope, comfort, and transformation—all during the most wonderful time of the year. That's all there is to it! So, whatcha want to know? We are excited to announce that the results for the next round of Deidre's contest are in a day early! She continues to be impressed with the high quality writing submitted during the course of this contest and literally can't wait to see more. Just as a refresher for what comes next, the top 10 entrants listed below will submit their first three chapters, and on Monday, December 13th, we will announce those advancing to the final round where fulls are requested. Join us in congratulating the top 10, as well as the top 30 who definitely shined in a tough competition!! Iraq war veteran and triple amputee Bryan Andersen's remarkable story of surviving and thriving after being severely wounded during his second tour of duty will be published in 2011. 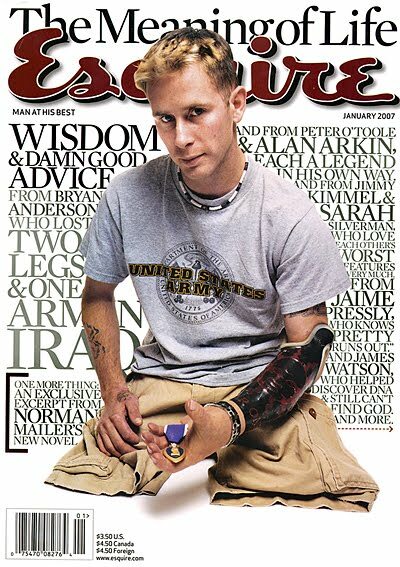 In the meantime, he continues to inspire thousands of people each year by sharing his message of perseverance and determination as spokesperson for both Pride Mobility and USA Cares, a non-profit organization that is focused on assisting post 9/11 veterans. He's also an avid sportsman, who loves snowboarding, skateboarding, archery, cycling, 4-wheeling and rock climbing -- to name a few. And we do mean a few. There's nothing Bryan can't do if he puts his mind to it. Recently, Bryan was nominated for a "Rare Life Award," which donates $10,000 to the charity of the winner's choice. The winner is determined by online voting. Please follow this link to show Bryan your support. It only takes a few seconds. Click here to read our profile on Bryan earlier this year. 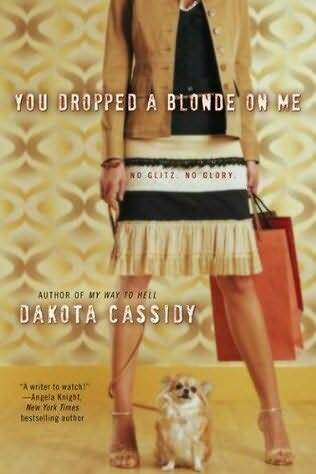 UPDATE: The winner of YOU DROPPED A BLONDE ON ME by Dakota Cassidy is Stephanie.Congrats! Please email your physical addy to contests(AT)knightagency.net. The past few days have been a bit of a blur on the blog due to our speed dating contest (which totally rocked our world, LOL), so we missed our monthly giveaway post. No worries, though. We've included it today. You know what to do. Leave a comment to win one of our December releases. Book titles are at the end of the post. CLIENT NEWS: Marjorie M. Liu was interviewed about her New York Times bestselling Dirk and Steele series by Morgan Doremus at Romantic Times. Marjorie's latest Dirk and Steele release is IN THE DARK OF DREAMS. CLIENT NEWS: Orbit Books did a wrap up of the amazing praise N.K. Jemisin has received this year for her Inheritance Trilogy books. Most recently her debut fantasy novel THE HUNDRED THOUSAND KINGDOMS was nominated for a 2010 Goodreads Choice Award. eBookNewser reports that Google Editions is planning to finally release later this year after much protest and legal wrangling. NaNoWriMo is officially over and Galley Cat reports that writers produced 2,799,449,947 words. Whoa. The race to write the Great American Novel is clearly as strong as ever. We're betting a more than few NaNoWriMos participated in our speed dating contest earlier this week. The Huffington Post has a slide show of the New York Times Best Books of 2010 list, plus a fun poll to rank your favorites. Some of the top books include ROOM by Emma Donoghue, A VISIT FROM THE GOON SQUAD by Jennifer Egan, and FINISHING THE HAT by Steven Sondheim. After reading almost 200 entries in record time, Deidre has narrowed the entries down to 30 lucky entrants. Yes, 3-0. You're probably wondering what happened to 25 or less.... There was just one problem with that cutoff, Deidre found herself completely bowled over by the high caliber of the submissions, and decided it was far more important to expand the contest than ignore such strong talent. In fact, getting it down to thirty was extremely difficult. Later today, she's going to be stopping by with a personal message (in the comment area) for all of the participants. So make sure you check back with us. -The winner of the first chapter critique is Annabelle L.
All of the entrants advancing to the second round should have received an email from us with confirmations and further instructions this morning. If you did not, please email Contests(AT)KnightAgency.net immediately. The deadline to submit ten pages is tomorrow, Friday, December 3rd at 12:00pm Eastern Standard Time. 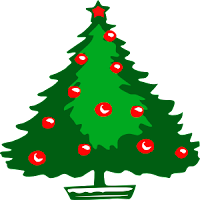 Those selected to advance to the third round after Deidre reads the ten page submissions, will be asked to send their first three chapters on Wednesday, December 8th, as outlined in the contest schedule. Please join us in celebrating the top 30, as well as everyone who took the time to make this such a exciting and TOUGH competition. We wish the best of luck to all of you as you pursue your writing dreams! !